You won't find anyone more aware of the special requirements needed to engage young audiences. 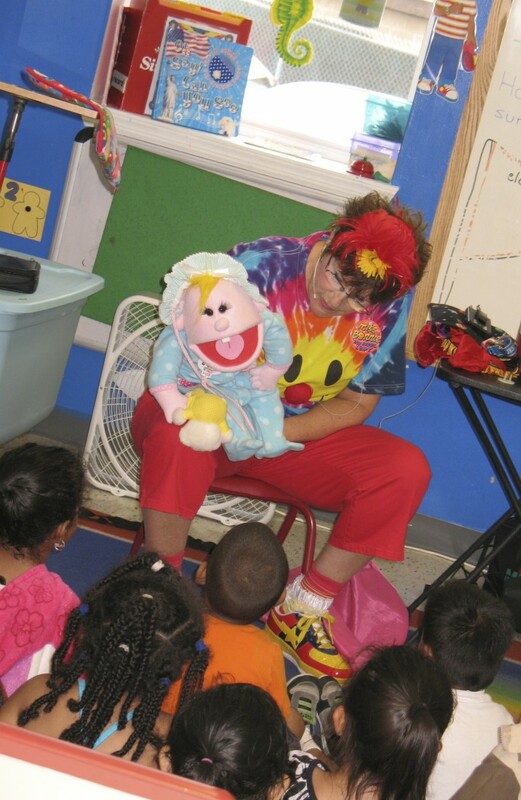 With over 20 years experience Bonnie has created numerous characters including Miss Bonnie the Magic Lady, Bonky the Clown, Mrs. Claus and Prissy T Elf who are known in countless homes, daycares, libraries and summer camps, churches and loved by hundreds of children. Bonnie's characters are warm, friendly, energetic, and so easy for children to interact with. Call today to book your next event. You will be glad you did! My daughter said "best party ever!" Miss Bonnie was the entertainment for my daughter's 10th bday party. We have never had entertainment like this before. Miss Bonnie delivered a fantastic variety of face painting that was beautifully done. All the kids LOVED IT! she was delightful, professional, and amazing at her craft. 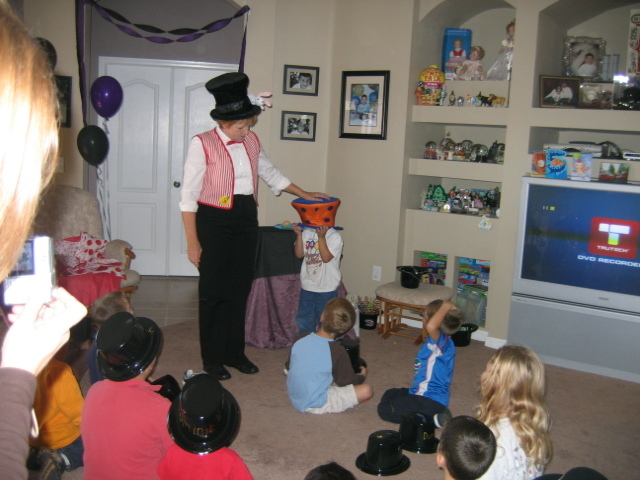 She then captured all the children's attention with a fun magic show. I've never seen a big group (15) of kids from ages 3-14 all pay attention to the same thing before. I was very pleased with how happy the kids were. Miss Bonnie finished up by having everyone sing Happy Birthday. I highly recommend choosing Miss Bonnie for your party! Thank you for making my daughter's birthday party so special! This is the 3rd yr. I hired Miss Bonnie (the Magic Lady) for the Gulf Harbors Yacht Club Children's Christmas Party. She always adds my theme to her performance making a new act each year. She is amazing with the children and draws them in making a day filled with laughter and memories. Thank you for another MAGICAL year. Awesome. A true entertainer. 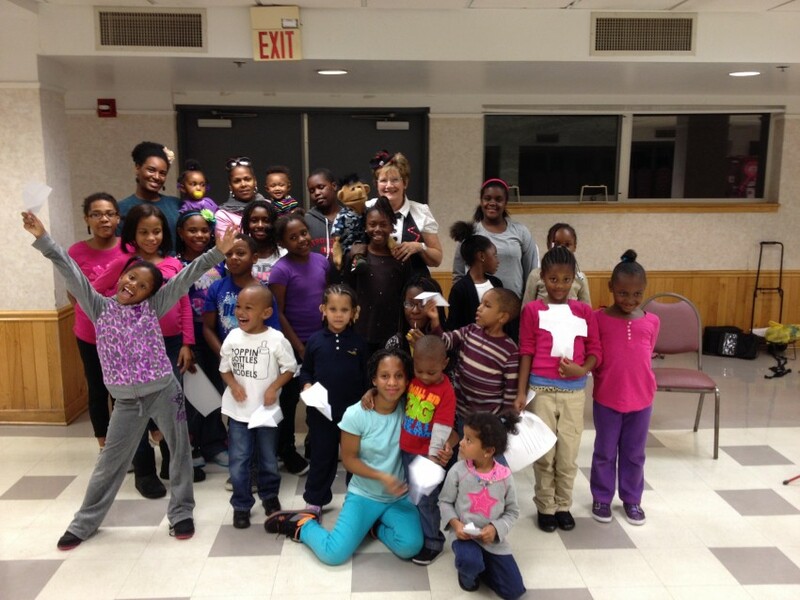 Bonnie is versatile, great with the kids and adults were also entertained by her humor. Will hire again in the future. Thank you! A special thank you to Miss Bonnie. She was fantastic at our granddaughters (who turned 3 and 5) birthday party. She made sure the birthday girls felt extra special on their special day. All of the kids loved her. It is such a joy to see the little ones giggling. The party theme was Shopkins and her face painting of the characters was so adorable. Thanks again, Miss Bonnie!! I was very pleased with my party experience that I had today. Bonnie communicated with me throughout the process on when she would be there what she would do. She did mostly face painting for the kids and some of the adults. She also threw in a few magic tricks which was great. I couldn't be happier. Thanks for making the party magical! I found and called Miss Bonnie the Magic Lady literally at the last minute (less than 24 hours in advance) hoping by chance she was available at such short notice to perform for my daughter’s 4th birthday party. As luck would have it she was available and happily agreed to perform a silly magic show. And boy are we grateful she was! Miss Bonnie’s show was fantastic; the perfect mix of silly, magic, entertaining and fun! We had 25 children aged 2 to 11 and I was beyond impressed at her ability to keep them all engaged and in stitches the entire time! Even the adults were laughing and joining in on the fun! Miss Bonnie even included our daughter as well as myself and husband on “stage” for some of the tricks and this was such a hit with our daughter; she felt so special. She even brought her unicorn balloon animals as a gift since unicorns were the theme of the party. All of our guests were raving about the show and the next day our daughter said Miss Bonnie was her favorite part of her party. Miss Bonnie was very professional, arrived on time and I felt the pricing was very fair. We would recommend her for entertainment for all ages. We can’t thank you enough, Miss Bonnie for helping make our party magical! Bonnie made our granddaughters birthday extra special! She brought the party to this birthday in the park, Ms Bonnie did facepainting for a group of 17 girls and some boys ages 10-14! Yes even the skeptical 13 & 14 year olds were delighted with what she had to offer. Bonnie has a girls and boys sheet of facepainting ideas from butterflies, flowers to minecraft, hulk and teenage mutant turtles. She delighted the entire group with charming illusionist magic. We would highly recommend her for your next gathering. Perfect for our sons Birthday party! Miss Bonnie was wonderful! She arrived early and had a quick and easy set up. She entertained a handful of children from ages 1-6..and was wonderful will each age group. Great artist, entertainer and performer! We would highly recommend Miss Bonnie for your children's party. My autistic son loved her show, and so did the other kids!!! Miss Bonnie performed a puppet and magic show at my five year old son's outdoor birthday party. My son has mild autism and gets overwhelmed very easily, but Miss Bonnie engaged him with her puppet. Her magic routine was enjoyed by children and adults. She also did beautiful arm paintings in leiu of face painting (the day was very hot). She even stayed to sing my son happy birthday, which he adored. My husband and I were very impressed by her performance, patience, and professionalism. Highly recommended. Thank so very much for you kind words. Your are an amazing entertainer. The children and families were thrilled. Loved the elf costume and your act. You even left the children with a great thought. Every one has" POTENTIAL ". Everyone, this lady has a great act and great heart. I booked Bonky for my daughter's 8th birthday party. she was so entertaining she made parents laugh. pictures of my daughter from the party shows pure joy. Feedback from kids and parents it was one og the best b-day party ever. Mrs. Bonnie did our 4 year old sons birthday. The kids loved her magic and fun show. She was on time, fun, and a real hit. I think 4 and under is the perfect age group for her show. Bonky was very professional and accommodating! She called to get in touch personally which was the reason she was chosen and then followed up via email. She also learnt about our holiday and incorporated it into her show. Would recommend her to anyone looking for a great children entertainer! Thank you it was a joy for me to be there. I absolutely loved everything Boney did for the kids. They all enjoyed the puppet show and cool balloons. My son got to be part of the show and felt so special. I recommend Bonky G Productions to anyone. The Adults loved her too! The kids were entertained and l loved the smiles! She was very professional and silly in the same way! I was not expecting the level of entertainment provided! Handling a bunch of kids hopped up on sugar and keeping them in line and paying attention, takes a lot of skill and dedication! Entirely grateful for this wonderful woman! I would definitely hire her for future events! And recommend her to everybody! Bonnie just did my 2 year old son Jakob's birthday yesterday feb 21. All the kids loved the puppet show and all the balloons she made for them. Great job Bonnie thanks again from the Murphy's. I have hired Bonky for numerous parties and events. 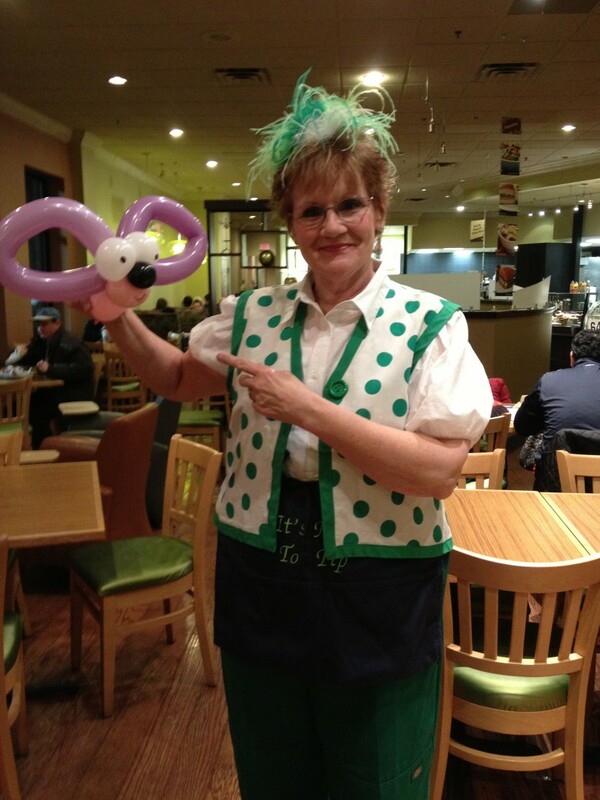 I have seen her perform her magic shows, clowning, puppet shows, phenomenal face painting, balloon art and storytelling. Even the shyest and most skeptical children respond well to her. Every time she performs the adults are also drawn in and enjoy it as much as the children. My kids have thoroughly enjoyed her performances. The quality of her face painting is far better than I've seen from others and the products she uses are safer than what most face painters use. Don't forget her puppets for your next party. It amazed me to see older kids sitting next to the younger ones totally into the puppet show. You will not be disappointed. We hired Bonky G Bird to perform at our daughter's 3rd birthday. She was wonderful with the children and they all responded to her very well. The puppet show was enjoyable for children and adults alike and her face painting was excellent. We couldn't have asked for a better experience and highly recommend her. Thanks Bonky G! Bonky G Productions is available seven days a week. Performances are tailored to fit your unique needs so that together we can plan your perfect event. Call today, you'll be very glad you did! Bonky G Productions is a multi-service entertainment company operated by full time entertainer, Bonnie Corcia, who specializes in entertaining younger audiences. After 20 years of providing excellent entertainment in New Jersey she is excited to bring that same love, talent and energy to the children of Pinellas County, Florida. Call today; you will be glad you did! I provide all props needed for your entertainment. I just wanted to say thank you for the great job you did at my son's party. The kids just loved you. They all went home and told thier parents how funny you were and about the giggle juice. Thanks again for a great time! We had Miss Bonnie the Magic Lady for my granddaughter's 1st Birthday and we absolutely loved her. She was so good with the kids. She had my other granddaughter who is never involved with our parties so enthralled that we were in shock. Miss Bonnie will be our family entertainer from now on. I highly recommend Miss Bonnie for your next event. She is wonderful! We love Miss Bonnie!!! We invited Miss Bonnie to my son's 5th birthday. She did such a wonderful job for kids and adults. 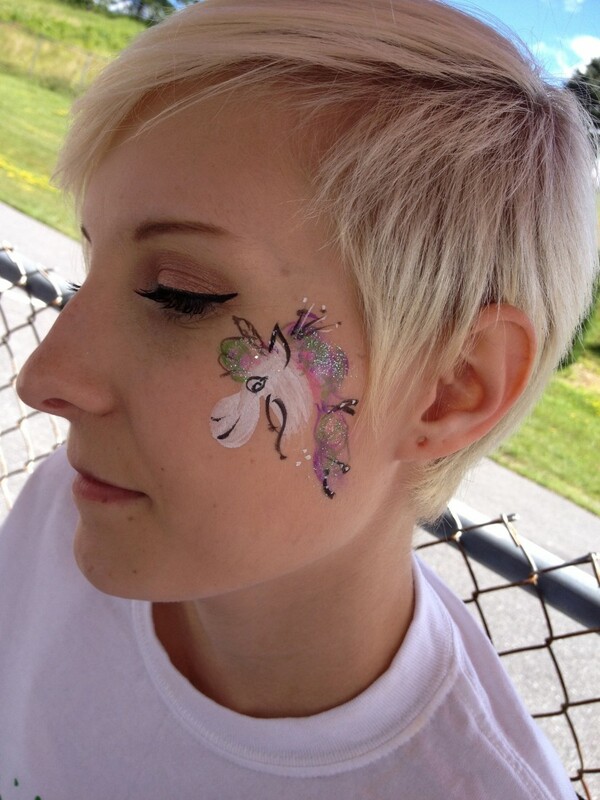 Her magic was silly and amazing face paint superb, balloon fun and interactive. She really kept the kids involved the whole show. My son is very happy telling me he wants Miss Bonnie for his next birthday. I would highly recommend . Bonnie she is an excellant entertainer. My boyfriend's 4 yr old son had an amazing time with Miss Bonnie, she was amazing with our special needs children. She is a must at your next party.